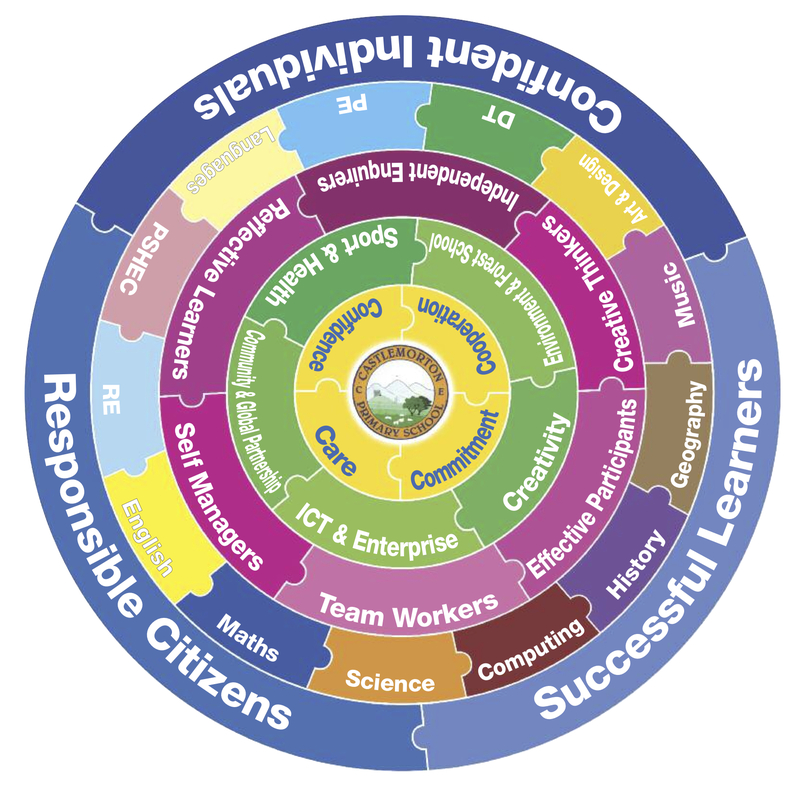 At the heart of the curriculum model are our Castlemorton Cs. The values on which we base our teaching and learning. These values have been drawn from Foundation documents and underpin the Christian Family ethos of the school. The Castlemorton Curriculum includes the statutory requirements of the New Primary Curriculum 2014 and this has been mapped out on a 2 year plan for Green, Red and Blue Classes. The plan shows the learning that will take place in each subject area for our mixed aged classes. Please open the link below to view the plan. Included in the policies are the methods and primary teaching materials used for each subject.